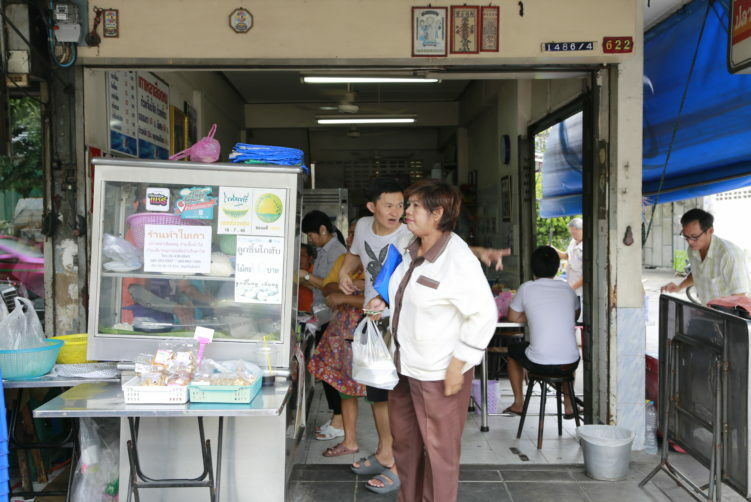 The owner of Haa Bai Thao – Five Sisters insisted that the name of the dish is Sen Lek Nam. That basically means the standard Sen Lek noodles with soup, but I can assure you that the bowl I got was far more tasty than the name suggest. Absolutely a pleasant acquaintance on the Charoen Nakhorn road on the other side of the Chao Phrayo river. A bowl of noodles can really be anything and everything in Bangkok. Most bowls are rather ordinary and nothing to write about. Haa Bai Thao on the other hand, is worth a review and your visit if in the area. The man in charge, probably a brother of the sisters, speaks well English and they also have a photo menu on the wall right at the soup station. They are mostly known for their crispy pork and it is very good. Just enough fat to give juiciness to the meat. The other parts of pork meat is also very good. When it comes to the innards, I limited myself to the heart and liver this time. The heart was especially good, very tender and with a delicate taste. The liver was also good, but could have been more pink. Still decent, but slightly too livery in taste. And yes, also the pork broth is really good. Full of flavors. 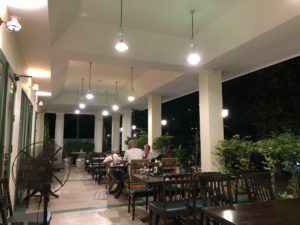 I was told that the name Haa Bai Thao is a Vietnamese name, but there are also some Chinese influences behind the food served at Five Sisters, more precisely the Teochew kitchen. The Five Sisters are packed during lunch time, but they run the shop with efficiency a service far better than most Bangkok stalls. English shouldn’t be a problem here. If you’re ready to discover more of the street food in Bangkok, please have a look of my Bangkok food map to see if a good vendor is near you. 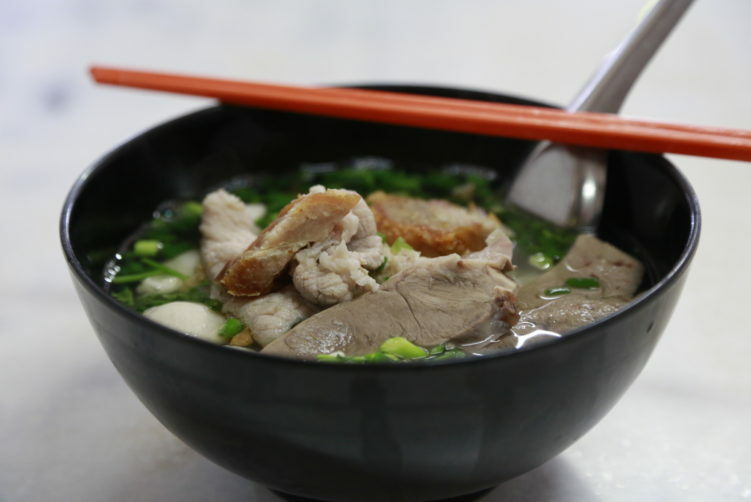 If you are a noodle soup fan like me, please check out my noodles soup archive for Bangkok. You could also check out my article on the Michelin Guide recommendation for Bangkok. order now Price: 50 bath for a normal sized bowl. Add 10 bath and you get the more meat. Address: 622 Charoen Nakhon Road. The number on the house is also 1486/4, but it seems like the 622 is the correct one. How to get there: Take the BTS to Kung Thon Buri and walk from there. It takes about 8-10 minutes. The owner of Haa Bai Thao - Five Sisters serves very good pork based noodles soup and crispy pork. Walking distance from BTS Krung Thon Buri on the Thon Buri side of the Chao Phraya river. See full review at StreetsideBangkok.